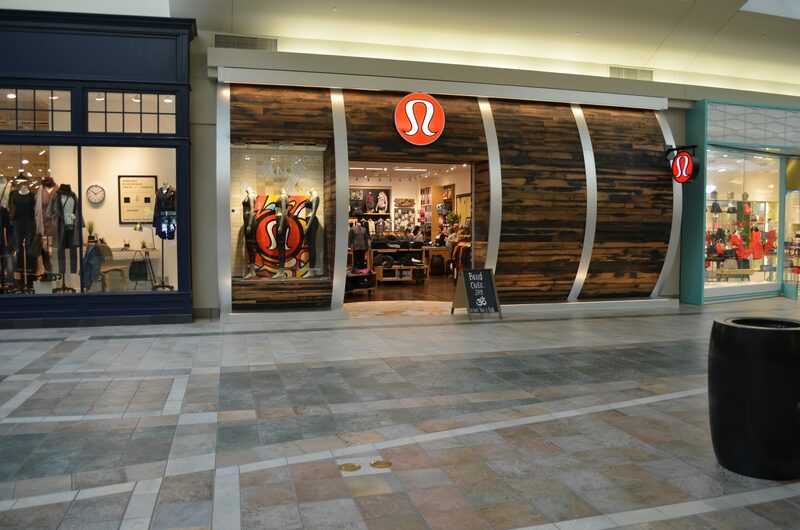 Founded in 1998. the lululemon name was chosen in a survey of 100 people from a list of 20 brand names and 20 logos. The logo is actually a stylized “A” that was made for the first letter in the name “athletically hip”, a name which failed to make the grade. Calhoun Construction Services performed all metal framing, drywall, doors, frames, blocking, acoustic ceiling and barrel ceilings for the Oxmoor Mall location.